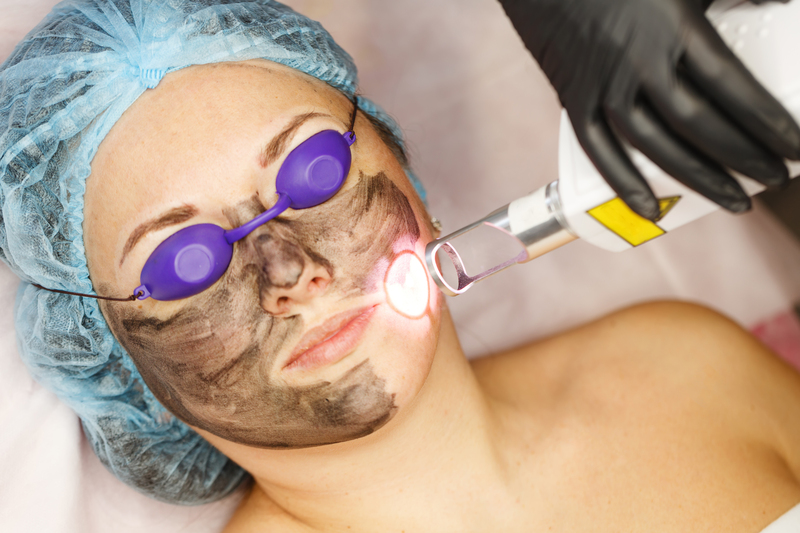 Carbon Laser Peel, also known as Hollywood Facial and Black Doll Facial). This involves the application of a thin layer of activated charcoal covering the treated area. A laser is then used to pull the charcoal off the skin. Carbon (Laser) Peel minimizes skin pores, exfoliates the skin and leaves it soft, smooth. It can also be beneficial for Acne. There can be an improvement in open pores, oil production and blemishes. The skin will feel cleansed, brightened and have a more refreshed look. The whole procedure takes less than 30 minutes with no down time. Excessive heat such as hot showers, sauna’s, hot tubs etc, should also be avoided for a week. A minimum of two weeks wait if you have had previous laser treatments to the area.